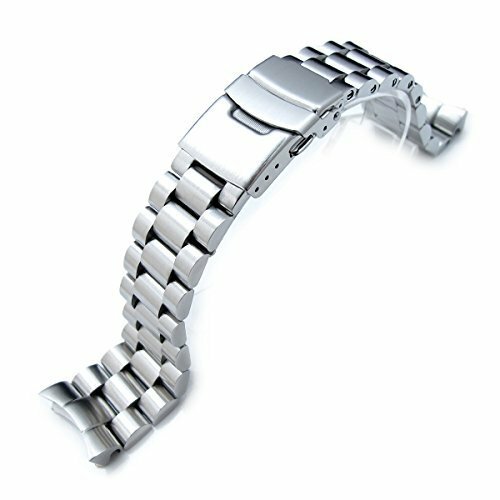 Endmill brushed solid 316L stainless steel watch bracelet is designed for Seiko Scuba Diver SKX007 model or other 20mm lugs Seiko diver or sport watch case with the same curvature as the above models. Generic 2.5mm diameter Fat stainless steel spring bars included. All soild links including end links in half-moon shape are structured by screw fix adjustable details instead of common pins. An awesome replacement watch bracelet tailor-made for Seiko Diver SKX007. Adjustment type : 8 Screw fixed Links adjustment + 3 micro hole type adjustmentShipping Estimate: 7 – 10 Business Days within US.